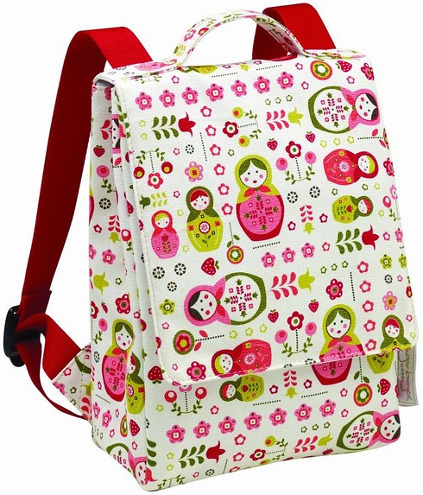 Made perfectly for little children, these Children Backpacks, part of the Sugarbooger Kiddie Play feature a soft, easy-to-carry handle, a front pocket for books and toys, and a zipped pocket for little keepsakes. Features an easy-to-open hook-loop closure for tiny hands, these Kiddie Play Packs come in several prints and designs, including: Prehistoric Pals, My Garden, Retro Robot, Hoot, Ladybug, Fairies, MatryOshka Doll, and What did the fox eat. With an adjustable strap these Kiddie Play Packs also include tags for little one’s name.